Animal hoarding. APNM completed draft language for a hoarding bill to be introduced in the 2003 legislature. APNM’s draft animal hoarding bill is posted as a model for hoarding legislation on the Tufts University website, which serves as a comprehensive clearinghouse on the complex psychological disorder of animal hoarding. APNM developed and began implementing a legislative campaign plan in preparation for the 2003 legislature. Cockfighting campaign. APNM worked with individual cities and counties to ban the “sport” locally, resulting in passage of a ban on animal fighting in Grant and Sandoval counties, and in the city of Deming. These county-level efforts helped build momentum and greater support for the 2003 legislative effort for a statewide cockfighting ban. The Las Cruces Sun-News, the El Paso Times, and the Santa Fe New Mexican all published their own editorials in favor of a ban. A powerful coalition consisting of law enforcement, veterinarians, churches and domestic violence prevention groups have joined to support a ban in the 2003 legislature. Other Legislative Agenda. APNM continued its work at the local and federal level to organize support for improvements in local ordinances and federal laws. APNM provided expert technical advise and documents to Lincoln, Sandoval, Grant and Torrance counties and the city of Deming, who were all revising their animal control ordinances. In addition, APNM’s network of activists helped ensure the passage of the federal Farm Bill, which included a ban on the interstate transport of fighting roosters, thereby bolstering local support for a cockfighting ban. At APNM’s request, Congressman Udall signed on as a co-sponsor to the federal bill outlawing horse slaughter. APNM also collaborated with other groups and rallied its members to support progressive prairie dog legislation in Santa Fe. Statute book update. 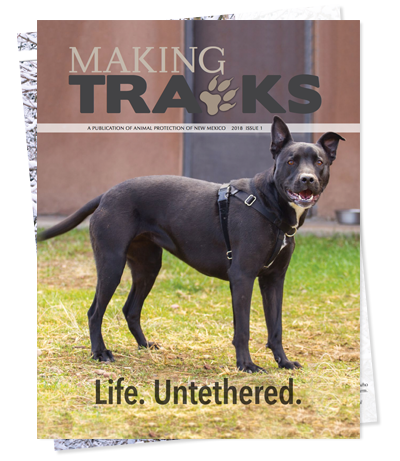 APNM conducted exhaustive research to compile, publish and distribute an update to its New Mexico Animal Law book. The update included additional city and county ordinances (which are also all available on APNM’s website), information on distinctions among court systems, and an updated Resources section. This book continues to be an invaluable tool to individuals and agencies throughout New Mexico. Alliance for New Mexico Wildlife. Adequate funding for wildlife conservation is sorely lacking in New Mexico. To address this, APNM broadened the existing Alliance for New Mexico Wildlife it had spearheaded, so that a more comprehensive approach to conservation funding could be pursued. This approach is slated to include wildlife, land, water and cultural and historic preservation. In conjunction with the Trust for Public Land, APNM conducted a comprehensive public opinion poll to determine if conservation funding would receive New Mexicans’ support. The poll confirmed that the public supported paying for conservation funding, and as a result, APNM continued to conduct research and work with other groups to develop a successful legislative strategy for a funding measure. Animal control/law enforcement projects. 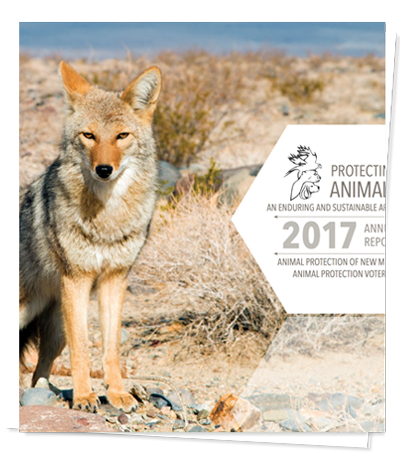 2002 marked the fourth year APNM provided comprehensive technical assistance and educational materials to animal control and other government agencies throughout New Mexico. APNM collaborated with prosecutors, law enforcement, animal shelters, animal control departments, livestock inspectors, rescue groups, national animal groups and individuals on animal cruelty cases and animal rescue cases. APNM consistently sends sentencing recommendations to the Court on animal cruelty cases. APNM was at the forefront of ensuring that substantial rewards were posted for information leading to the prosecution of those committing heinous crimes against animals. In an effort to further institutionalize animal protection issues in government entities, APNM worked with the New Mexico State Highway Department to establish procedures for humanely addressing animal-related incidents within state highway jurisdictions. APNM also gave presentations to risk management staff across the state about the importance of humane animal control in minimizing government risk and ensuring public safety. APNM began to research ways of making animal control operations more effective by creating a statewide entity responsible for establishing and implementing statewide standards for: animal shelters; conducting cruelty investigations; and an animal control officer certification program. Curricula for training in these areas was also under development. APNM was a leader in ensuring that there is a long-term solution to improving the Albuquerque Animal Services Division, by pushing for a comprehensive quality improvement board to help implement quality management at ASD. APNM staff will serve on this board of professionals interested in implementing lasting changes at the troubled agency. APNM continued its support work with various animal control agencies by contracting for professional systems analysis work, incorporating the concepts of Total Quality Management into animal services operations. APNM coordinated and promoted animal control/law enforcement training in New Mexico, including humane euthanasia training (two sessions in 12 months) and bite stick training. APNM received a grant and administered scholarships for such animal control and law enforcement training. APNM began working with several New Mexico Indian Nations to help them plan and implement effective animal control services on Indian lands. APNM Foundation. APNM created the APNM Foundation whose sole purpose is to support APNM and its mission. The APNM Foundation will provide the long-term financial stability needed to ensure that APNM will be able to continue to conduct its hard-hitting campaigns on behalf of animals, as long as the work is needed. CARE Project. The CARE program was completed in June 2002. An infrastructure for “women in crisis” is in place in the Albuquerque and Santa Fe areas that can help with housing the animals of those domestic violence victims. A “How to Implement a Safe Haven Program” document was completed, to aid other communities in establishing similar programs. In addition, APNM, through All Faiths Receiving Home, applied for and received the first ever federal Violence Against Women Act (VAWA) grant to be used to pay for the costs of care for the animals of domestic violence victims in rural New Mexico communities. This grant was pursued in conjunction with the Stop Violence Against Women and Children Coalition of Bernalillo County. APNM hopes this grant and the associated program through a human services agency will create an important precedent for domestic violence programs across the country. APNM continued working with the Animal Multidisciplinary Task Force to address the need for: cross-reporting of animal cruelty/human violence between social service and animal control agencies; and facilitating awareness of the link between animal cruelty and human violence in our court system. Circus Campaign. APNM continued its campaign to encourage only non-animal circuses in New Mexico, and in the meantime worked for better enforcement of laws regarding the importation of exotic circus animals in to New Mexico. APNM continued educating the public about the inherent cruelty involved when animals are used in circuses, resulting in the city of Albuquerque’s Convention Center staff inquiring how to keep an animal circus from performing in the city. Cougar advocacy and education campaign. APNM sued the New Mexico Game Commission for their arbitrary and capricious regulations that resulted in cougar killing quotas as much as three times higher than a state-sponsored cougar study recommended. This lawsuit was the culmination of two years of exhaustive research, Game Commission monitoring and development of the case. Despite the solid arguments in the lawsuit, the District Court ruled that the Commission was justified in their actions, having taken adequate public input and held meetings on the subject. This result demonstrates an urgent need to amend the state’s wildlife statutes to mandate science-based cougar policies. APNM’s cougar lawsuit was covered in Scientific American, citing APNM’s efforts to counter the unscientific management of the species. APNM joined cougar advocates throughout the West to design a cougar “clearinghouse” to assist with cougar campaigns in multiple states. Coulston campaign. Four years ago, APNM joined In Defense of Animals (IDA) in its ongoing investigation of The Coulston Foundation (TCF), an Alamogordo animal-testing laboratory. APNM worked at the state level on IDA’s campaign, and in September 2002 the ailing TCF closed its doors forever, selling its buildings and property to the Center for Captive Chimpanzee Care (CCCC)-a Florida sanctuary-and handing over 327 chimpanzees and monkeys to their care. In addition, APNM asked the New Mexico Attorney General (AG) to investigate TCF’s potential misspending of chimpanzee endowment funds. The AG pursued a legal case against the Coulston Foundation’s potential malfeasance in squandering funds meant as a permanent trust for chimpanzees in their care. The case is pending. Due to the generosity of nearly 70 APNM donors, APNM raised $21,805 that was given to the CCCC for the care of the chimpanzees. This gift will be matched 100% by the Arcus Foundation. APNM also organized volunteers and donations of needed items for the chimps. Humane Euthanasia. Humane euthanasia in public and private shelters eventually needs to be established and mandated statewide, in order to ensure that surplus dogs and cats at least can be guaranteed a humane death. In order to achieve such legislation, APNM recognized that much work was needed to understand the barriers to statewide implementation, as well as the costs involved. 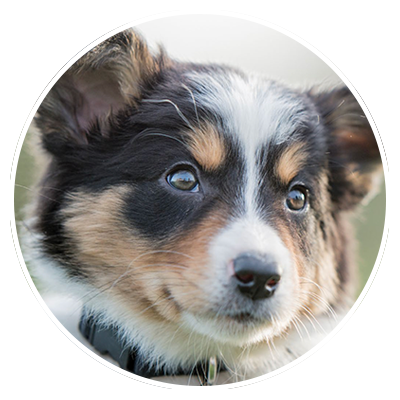 APNM began work to implement pilot programs in two communities (Carlsbad and Roswell) that are volunteering to work with APNM to adopt a humane euthanasia program. Success in these pilot programs will provide the experience, knowledge and support needed to push for statewide legislation, perhaps in 2005. 2002 Milagro Awards. APNM marked its third year recognizing champions for animals at its 2002 Milagro Awards ceremony. There were an unprecedented number of nominations this year, demonstrating that the awards are becoming more well-known and coveted. APNM created a new award in 2002, called the “Spirit of the Mission Award”, bestowed on In Defense of Animals (IDA) for their tireless efforts to close down the Coulston Foundation. APNM presented IDA with a framed letter signed by Dr. Jane Goodall which praised them for their efforts on behalf of chimpanzees. Miscellaneous. APNM drafted comments for grant guidelines at University of New Mexico to continue to exclude vivisection upon request. APNM continued to support student activist groups, including a Santa Fe high school campaign to allow students to refuse to dissect. APNM also coordinated and conducted community outreach, educating the public by hosting regular public meetings featuring guest speakers in Santa Fe.